1. 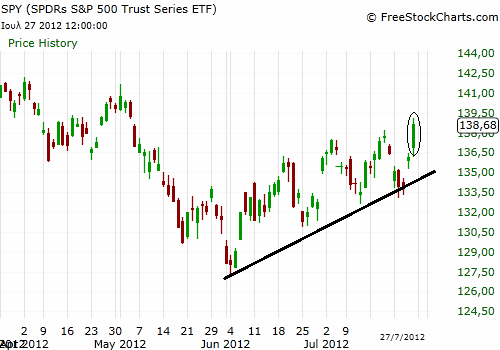 The market is in uptrend (SPY daily chart below). 2. 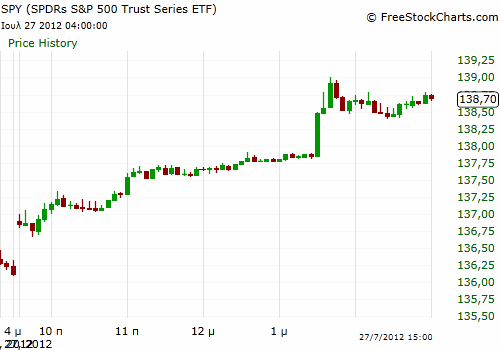 This day SPY began with a gap up and the sentiment was generally bullish (SPY 5 minutes chart below). This is a good day for reversals on stocks that are visiting for the first or second time an intraday support after a sharp decline. 3. 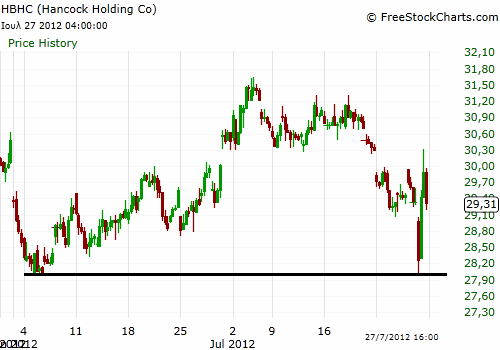 HBHC has visited a strong support at the 2 hours chart (below). 4. The entry was at $28.10 due to the fact that the lower price of the prior support level was at $27.96, relatively near to the entry point. This allowed a stop of 15 cents/share (at $27.95). The first target was at $28.70 (below), so the ratio 1:3 holds. 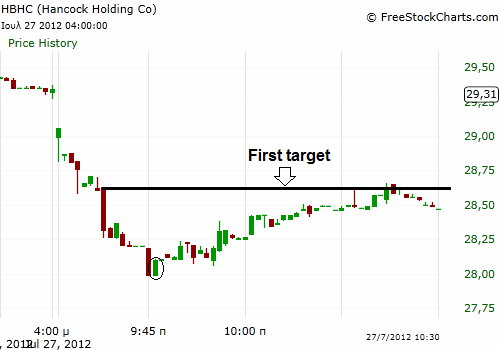 We exited the position due to the stop being hit.